With the evolution of technology, various changes took place. The platform of social media went from various changes in such a way that, the need of videos on content marketing channels and social media increased a lot. In short, for big brands and businesses, video tutorials have become a go-to visual content. In order to fulfil their requirements, various screen capture software and video editors were made. If you are also in need of such a great video tutorial maker that can help you to make a how-to video quickly and easily, the following software will probably be the ones you are looking for. What we are listing here are the top 5 best screencasting software that possess the full features and tools to capture and edit any screen video in high quality with various effects. Joyoshare Screen Recorder is one of the most professional screen recording software for Windows. Its easy-to-use features make it a perfect screen recording tool for recording any video activity on computer desktop in HD quality. It has the most advanced screen capturing technology which enables you to record the screen, make video tutorials in the way you like. Not only this, it can add highlight to cursor and clicks to make your tutorial video cooler and more personalized. 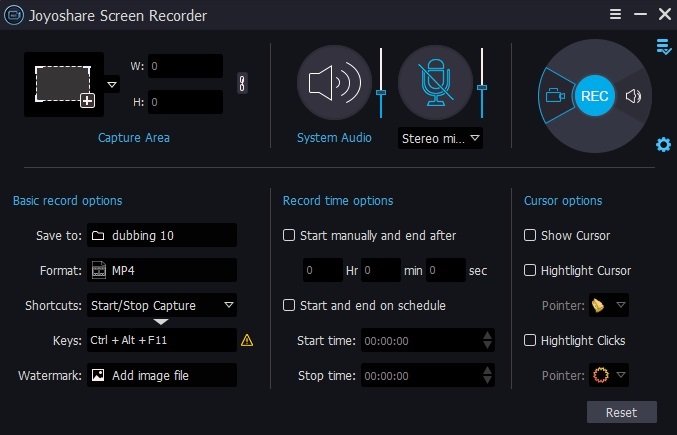 It also allows you set start and stop time to record the tutorials as scheduled. And once recorded, you can choose to save the video tutorials in any format and device, including MP4, AVI, FLV, WMV, SWF, etc. In addition to creating video demo, it helps in recording online video calls, live streaming videos, gameplays, webinars, webcams, etc. 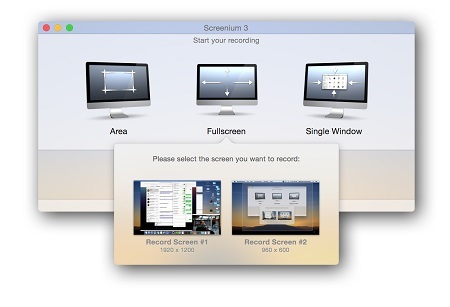 This software is the production of TechSmith which is easy to use screen recording app for Mac and Windows. Its features include the capturing of screenshots, recording of videos, sharing of files and editing various mark-up tools and many more. The videos can be clicked and dragged at anywhere on the screen. In addition to these, the videos can also be trimmed and narrated. It also has the capability of zoom in and zooms out feature. Animated GIF's can also be created using this tool and it has the ability to capture various types of scrolls like the panoramic capture, scrolling capture, etc. This is an open source recording software compatible to Windows, Mac and Linux. It is specifically made for video recording and live streaming. It is basically designed for gamers, which enables them to directly record from their graphic card. Its recording is of high quality which records 60 frames per second. In addition to these, for recording unlimited scenes it has the feature of real-time video and audio capturing. It also includes various video editing filters with a studio mode for the previewing of the video before it is published. This video tutorial recording and making software is another TechSmith's production which possesses an automatic drag-and-drop WYSIWYG editor available for PC and Mac. By the help of this software, any portion of the screen can be recorded with various additions of shapes, callouts and arrows. Other videos can also be inserted by the help of webcam. Moreover, the videos can also be imported with full HD resolution which makes the video attractive and eye catchy. Animated backgrounds, icons, graphics and safe royalty-free music tracks are also included in this software. In addition to these, it also has the feature of transitions which can be added anywhere in the video. In order to know the number of views and the person viewing the videos, quizzes can be added as well. It might be the most comprehensive video recording and editing software among all. But it's not free and the free trial version will contain watermarks in recorded video tutorials. This is the production of Synium Software that is compatible with iOS and Mac. The videos can be recorded up to 60 frames per second with good and smooth quality. 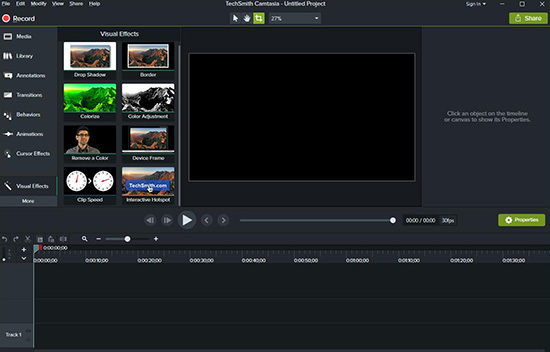 Cutting, audio, animations, effects, transitions and text are some of its editing features. The finished how-to videos by Screenium can be imported to various social media sites including Facebook, You Tube, Flickr, Mailing apps and many more. As we can see, all these screen recording tools could meet the need of making fantastic video tutorials. But in specific words, Camtasia could be the most professional and complete tutorial video maker as it can not only record the screen, but also add pretty much special effects, music and texts to the recorded videos. However, if you are in lower budget, then Joyoshare Screen Recorder should be the best alternative as it's also an all-in-one video capture and editor but with lower cost. 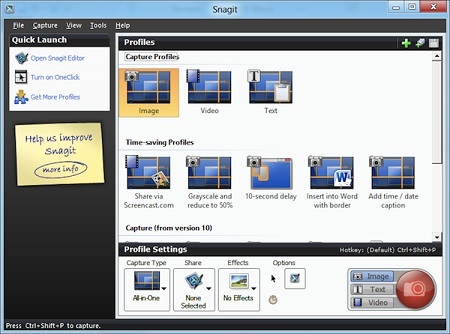 If you prefer freeware, then you are suggested to get Snagit which supports basic recording and editing features that could be enough for creating a satisfied how-to video.